Archaeological sites confirm man's presence in the area since prehistoric times, most notably for a period around 4,000 BC. (the so-called "mirense" period) and during the Bronze Age. The Romans too have left traces of their culture. Moorish rule lasted for six centuries and ended with the Christian reconquest of Aljezur (in around 1250). The town received its first charter during the reign of King Dinis, in 1280. For hundreds of years agriculture was the regions main economic activity and its produce was at one stage shipped to market via the port on the Aljezur creek. When silting made the creek impracticable the road running down from the north to Lagos was used. 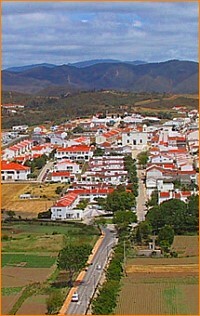 The earthquake of 1755 caused a great deal of damage to the town and led to the construction of a new settlement across from Aljezur called Igreja Nova. This was built at the initiative of Francisco Gomes de Avelar bishop of the Algarve, as a means of encouraging the population not to leave the town and move elsewhere. Aljezur, after remaining largely untouched by the 19th and early 20th centuries, is now sharing in the social and economic renewal of the Algarve. The boundaries of Aljezur municipality mark out a broad rectangle delimited by the sea and the hills, and its landscapes reflect this dual influence. While the coast is marked by high cliffs beneath which huddle sandy coves and pristine dunes, the hinterland is a place of rolling hills covered with vegetation that recede, row upon row, as far as the eye can see. Between the two extends a broad strip of fertile fields and valleys where the traditional crops of vegetables, sweet potatoes and peanuts are still grown. Time spent in Aljezur municipality is thus an opportunity to rediscover peace and tranquility, to experience a silence broken only by singing birds or the crash of waves on the rocks and to savour the beauty of verdant fields, gentle slopes swathed in wild flowers and majestic cliffs with the pounding sea as backdrop. At the top of the hill, the castle ramparts, symbol of the long struggle between Christians and Moors. A cascade of white houses that almost tumble down the hillside towards the river. In the streets that wind down the slope from the top of the hill crowned by the castle are houses typical of the coral architecture of the Algarve, with the colourful borders known as platibandas painted around windows and along the edges of immaculate whitewashed walls. At the base of the hill is the Fonte das Mentires (literally the Fountain of lies), which is associated with the legend of a beautiful Mooress and the conquest of the castle. 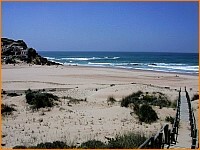 Odeceixe - has a long beach, cut in two by the mouth of the Seixe creek. 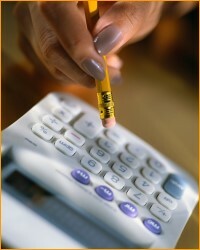 The resort is calm and family oriented with facilities for visitors. There are impressive views of the sea from the Miradouro da Ponta Branca. Quebrada - is a narrow beach squeezed between the sea and the cliffs. Little visited. Samouqueira, Vale dos Homens & Carriagem - Quiet, little frequented beaches. Amoreira & Monte Clerigo - these two beaches lie next to each other, separated by rocks. There are facilities for visitors. The coast is punctuated by fascinating rock formations, ending at Ponta da Atalaia, which means Lookout Point. Arrifana - a long stretch of sand sheltered by cliffs with a picturesque fishing port. 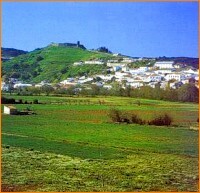 Arrifana is linked to the historical figure of the Moorish prince and poet Ibn Caci (12th century) who lived here as a recluse. There are ruins of an old fort (17th century) built to defend the tuna fishermen and their gear. At the end of the cliffs Pedra da Agulha (literally Needle Rock) rises majestically from the sea. Penedo, Vale Figueiras & Canal - beaches of great beauty that see few visitors. Bordeira & Amado - long beaches In Bordeira stand the ruins of a former defensive fort built to repel pirate attacks (17th century). Near to Amado the so-called Pedra do Cavaleiro (Knight's Rock) stands amid the waves Between the two beaches lies the rock formation of Pontal, surrounded bays and high cliffs. The Costa Vicentina natural Park extends from Odeceixe to Burgau, a broad sweep that takes in approximately 80 km of coastline. 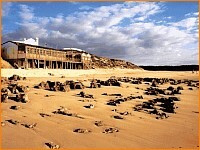 It offers an opportunity to appreciate, in their natural habitat, almost a hundred plants which have adapted to life in an atmosphere laden with salt and scorched by the sun, and thrive in environments ranging front the soft sand of dunes to the rocky fissures and poor soils of limestone and schist areas. For lovers of wildflowers, this is a paradise. The region is no less rich in animal life, in addition to foxes, wild boars, badgers, wild cats and rabbits, birds are the great attraction of the Costa Vicentina. More than twenty species inhabit the creeks and wetland areas; including herons, storks, kingfishers and water hens. The crags of the coast are home to ravens, rock doves, pigeons, gulls, magpies and many others. Birds of prey, such as eagles, falcons, sparrow hawks and owls share the skies with more than thirty other bird species, such as blackbirds, nightingales and finches.